There is a World of Darkness much like our own. Hidden from humanity by a veil of deceit, the vampires of this world play games of intrigue, politics and betrayal. You are one of those vampires, called Kindred. Your Prince among the undead has declared that he will go into torpor, the rest of ages, and will choose a successor before he passes. The vampire who wins the support of the most allies before dawn will be declared the new Prince. 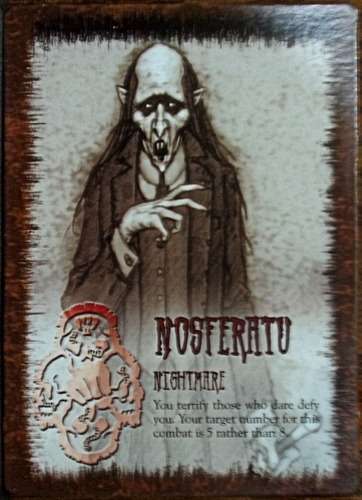 Vampire: Dark Influences is a board game for two to five devious players who forge bonds, win favors and break vows to reign supreme over the night. Now you can download the complete Vampire: Dark Influences Rulebook for free. Use this edition to replace a lost or damaged version of the Rulebook that came with your game or just to have an extra copy on-hand.